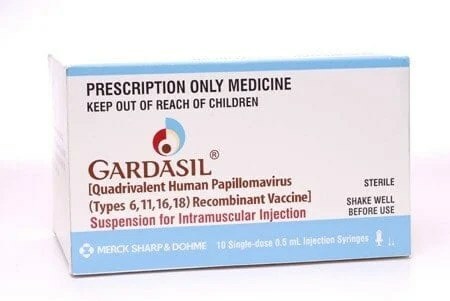 Women with HIV acquire cancer-causing forms of the human papillomavirus (HPV) that are not included in the current HPV vaccines Gardasil and Cervarix, according to new research from Fox Chase Cancer Center being presented at the AACR Annual Meeting 2013 on Sunday, April 7. “People with issues in their immune system such as HIV will be at risk of acquiring HPV, as well – and the current vaccine may not fully protect them,” says study author Elizabeth Blackman, MPH, research specialist at Fox Chase. Women who had been taking HIV medications for at least 4 years, however, were less likely to carry cancer-causing forms of HPV, suggesting that treating HIV may also protect women from the consequences of HPV. “Protecting the immune system may prevent other diseases,” says Blackman. More than 40 types of HPV can infect the genital areas and at least 15 of these types are considered “high risk,” meaning they can cause changes in cells that can lead to cancer. In the U.S., approximately 4,000 women die each year from cervical cancer, which almost always stems from HPV infection. During the study, Blackman and her colleagues tested 176 HIV-positive women living in the Bahamas for the presence of high risk forms of HPV. They chose this population, she explains, because different strains of HPV are prominent in different geographic regions. Around three-quarters of the women tested carried high-risk forms of HPV and approximately 30% had precancerous cervical cells, as well. The current vaccines for HPV prevent infections from 16, and 18, the most common types attributed to 70% of all cervical cancer world-wide. But Blackman and her colleagues found that many HIV-positive women living in the Bahamas who had precancerous cervical cells carried HPV types 16 and 18 but also had prominent infections with HPV types 52 and 58, which are high-risk but not protected by the current vaccines. Previous research has also shown that other populations of women with immune system problems can acquire atypical cancer-causing forms of HPV, says Blackman. Women who had been taking highly active retroviral therapy (HAART) to treat their HIV for at least 4 years were less likely to have high-risk forms of HPV, suggesting that controlling the immune system may curb additional infections. “If women take medications for a long enough time, their immune system may prevent other diseases from developing,” Blackman suggests.